The Oklahoma Center for Community and Justice will honor Paula Marshall during its 61st Annual Awards Dinner at the Hyatt Regency Tulsa on Thursday, October 24, 2019. Paula Marshall is the Chairman and CEO of The Bama Companies. Bama is an innovator of wholesale bakery products. It counts large-scale restaurant chains, including the nation’s largest hamburger chain, the nation’s largest pizza chain and the nation’s largest retailer among its customers. Marshall has significantly grown Bama during her three-plus decades as CEO. While setting a precedent on quality, Bama is hailed as a leader in the baking industry and has even been recognized by the United States Department of Commerce as a winner of the prestigious Malcolm Baldridge Award for Quality. The Bama Companies also recently became the first manufacturer in Oklahoma to become B Corp certified. 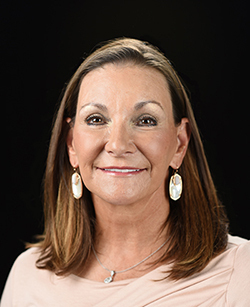 A native Tulsan, Marshall received her Bachelor of Science in Business, a Master’s Degree in Communication and her Doctorate of Commercial Science from Oklahoma City University. Paula Serves on the Board of Directors of Helmerich & Payne, Inc., American Fidelity, The Deming Institute, Southern Hills Country Club, Tulsa Tennis Club, American Bakers Association, and the Tulsa Port Authority. Marshall served as Chairman of the Tulsa Chamber of Commerce and was one of the first women asked to join the Young Presidents Organization Oklahoma Chapter in 1990. Marshall has been named one of the Top Ten CEOs by Industry Week Magazine, named one of Oklahoma’s most admired CEOs by The Journal Record, and was selected Entrepreneur of the Year by Ernst & Young. Marshall is also a 1998 Oklahoma Department of Commerce Business Hall of Fame inductee.